Get around IP-bans, connect with random people, and keep your identity safe. How to Set Up a VPN for Omegle in 3 Simple Steps! The initial mission of Omegle was to make communicating with random people easy, but the anonymous nature of the platform has made it a breeding ground for adult and explicit content. That’s why most ISPs prefer restricting access to Omegle. Why Do You Need a VPN for Omegle? If you live in a country or region with strong Internet censorship, you won’t be able to gain access to platforms like Omegle. Similarly, if your school or university has applied filters to the Internet, you won’t be able to use Omegle to chat with random strangers online. 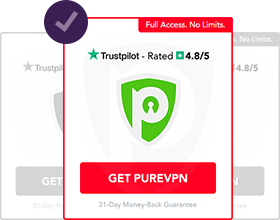 By equipping yourself with a reliable Omegle VPN like PureVPN, you can change your IP address to that of any country in the world and get around these roadblocks to access whatever you like, including Omegle. While Omegle allows users to chat anonymously with strangers, it doesn’t do anything to protect your chat data from being viewed by cybercriminals, network administrators, and your Internet service provider (ISP). With a VPN for Omegle installed on your device, all your Internet traffic is secured from end-to-end using top-of-the-line encryption protocols. This means that your data will now be unreadable to any prying eyes that could be watching. Back in 2016, it came to light that Omegle saves all the online conversations that take place on its platform. Anyone with a little knowledge about hacking can get their hands on them to steal your personal information, or use your chats to blackmail or harass you. In addition to not revealing any personally identifiable information (PII) such as name, phone number, email address, etc., users should always switch on PureVPN while using Omegle to take their privacy game up a notch. You won’t be able to access Omegle if you have been reported by another user or are in violation of the terms and conditions. Since the platform blocks users based on their IP addresses, you can forget about using the platform with your ISP-provided IP address. This is exactly where a good Omegle VPN like PureVPN comes into play. Upon connection, your real IP address is hidden with one from our VPN server, giving you the ability to access Omegle and communicate with strangers once again! With there being many free VPNs out there, you may be wondering “why spend money on a VPN when I can access Omegle with a free VPN?” Though Omegle hasn’t publicly announced they’re blocking VPN users, there’s evidence that points otherwise. You won’t be able to access Omegle with many VPN services, and this is particularly true when it comes to free VPNs. 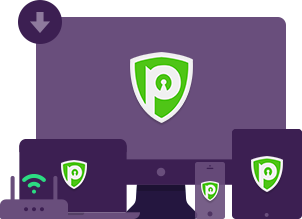 PureVPN, on the other hand, is the best VPN for Omegle which actually works and doesn’t let you down when you need it the most. Founded by Leif K-Brooks in 2009, Omegle is an online chatting website where users can connect with strangers from across the world. 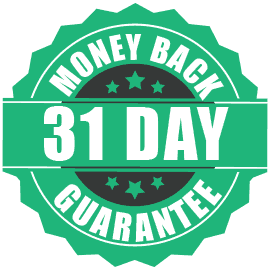 Since it’s free and anonymous, the platform is popular amongst those who sometimes prefer to communicate online, rather than having conversations in person. There’s no registration required to use Omegle, which means it only takes a few clicks to get a conversation going with a person from anywhere in the world. However, you can’t select who you will be chatting with. In its early days, Omegle only supported text chats but a video mode was introduced soon after the launch. With more and more people spending most of their time online, it didn’t take too long for the Omegle app to be introduced, allowing users to chat randomly on the go. Unlike most social media networks and other sites you’ll come across today, users don’t need to create a profile or account to use Omegle. The platform is open to anyone who is over 13-years old, but those under 18 are asked to seek parental guidance/permission. You aren’t even asked to provide a name either, as chat participants use the handles “You” or “Stranger”. Simply visit the website and choose whether you want to video or text chat by hitting the respective buttons. You will then be randomly paired with a stranger for a one-to-one chat session, which can be stopped anytime. However, you can also specify your interests beforehand for Omegle to pick a stranger less randomly. Why does Omegle ban users? You may be banned from Omegle if you break the rules or someone reports you for insulting them or bad behavior. In this case, your IP address will be temporarily blocked from accessing Omegle, keeping you from indulging in random chats for an unspecified time period. If you don’t want to wait around, getting around Omegle bans is easy. 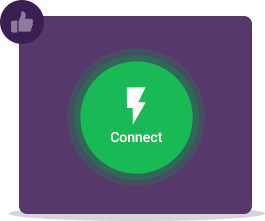 By using PureVPN, you get assigned an IP address based on your chosen VPN server, which makes it appear as if you’re browsing from another location. Since your actual IP address is hidden, you can use Omegle again! Can I use a free VPN with Omegle? We wouldn’t recommend that you use a free VPN for Omegle. That’s because these VPNs are known for logging your online activities, and selling that information to third-parties for a profit. They also show intrusive ads and can even be plagued with be malware and privacy leaks. Additionally, there’s a good chance that free VPNs won’t work at all as Omegle is taking steps to stop their users from using a VPN. How long Omegle bans last? It greatly depends on the severity of the infraction, but bans can last from anywhere between 1 week to 4 months. What countries block Omegle completely? Sometimes Omegle bans aren’t related to the user, but instead where that user is located. Omegle is blocked entirely or partially in the following countries: China, Qatar, UAE, North Korea & Syria.